For months now I’ve been in a salad/scoop/soup kind of mood. That’s going to change next week, because my mom just let me know I’m in charge of making a pumpkin pie “with tiny leaves made out of dough” for Thanksgiving. I’ve never made a pumpkin pie. I’ve definitely never made one with “tiny leaves made out of dough”. Soo…in the interim, let’s get back to the 3 s’s. This one falls under the “scoop” category, and it’s awesome. 1. 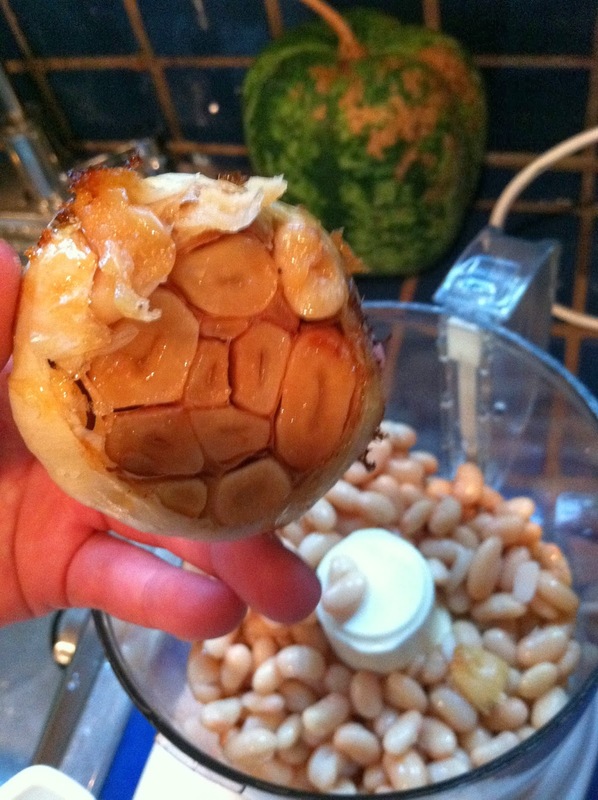 Roast that garlic. 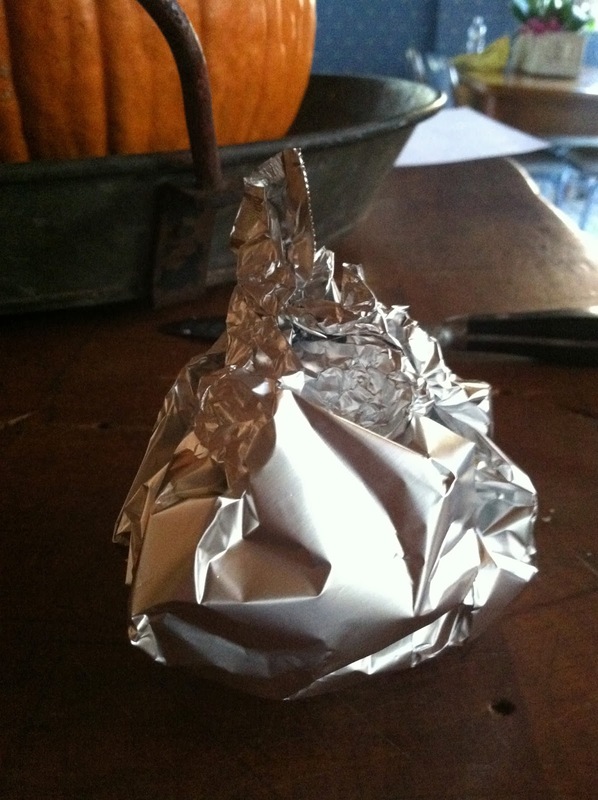 Lop the top off of it, place it on a piece of tin foil, cover with some EVOO & salt, wrap the top loosely & place in an oven at 400 for about 30-40 mins. 2. 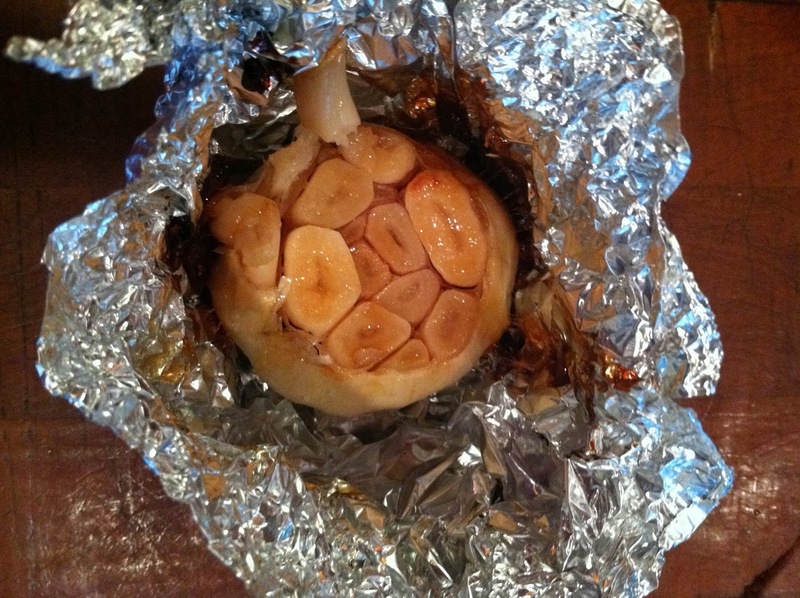 Remove garlic from the oven when it’s soft & golden. Let it cool a little bit. 3. 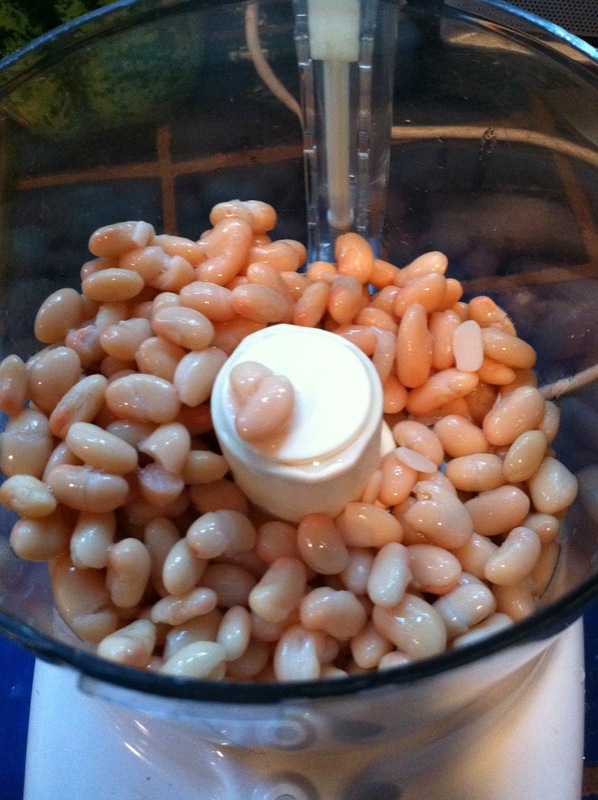 Rinse and drain a can of white beans. 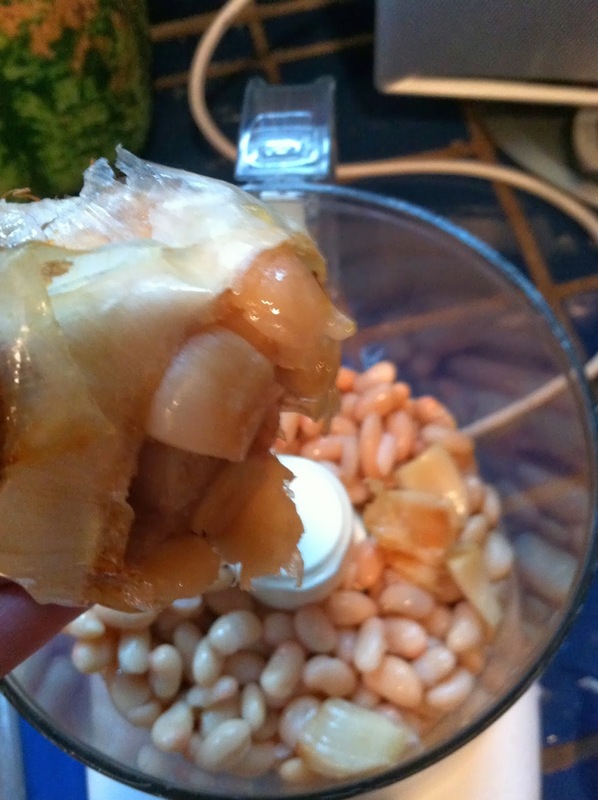 Put in a food processor. 5. 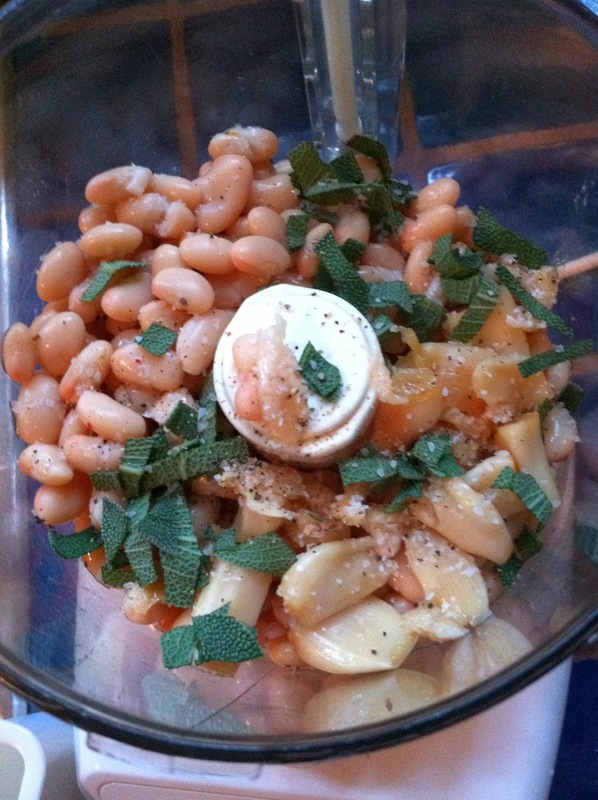 Add chopped sage & lemon juice & salt/pepper. 6. 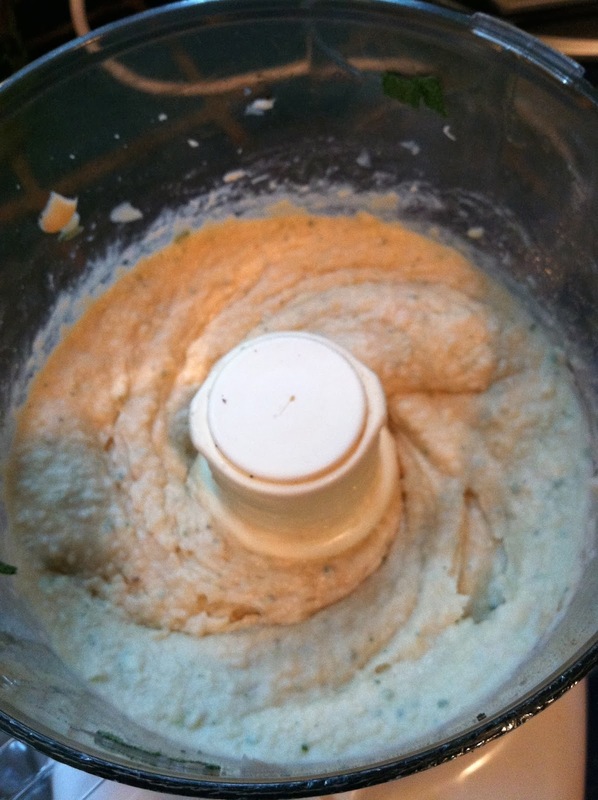 Add EVOO little by little, blending well, until the “hummus” is combined and fluffy. 7. 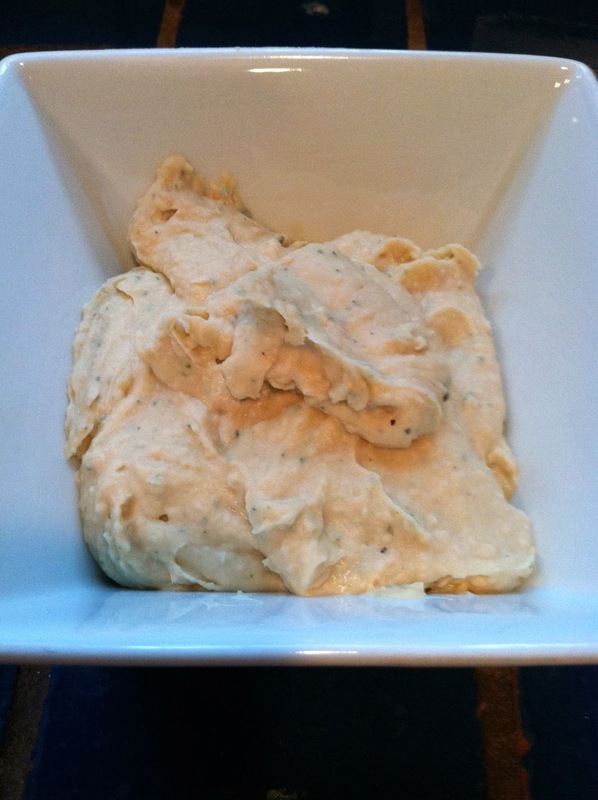 Serve with french bread, veggies, or (of course) pretzel chips. — Side notes. It’s been an incredible couple of days. Without getting into the beginning part of this week and why it was wonderful, in the last 24 hours two of my friends Pat & Peggy got engaged. I set them up at the beginning of this year, and couldn’t be more excited for them. This is the second couple I set up who are getting married!!! I mean that’s got to be a better track record than Patti Stanger, right?? Also, we had an incredible time promoting The Great American Smokeout this morning with one of my favorites, Ryan Leckey, at South Scranton Intermediate. I do PR for Geisinger-CMC. The hospital, and Geisinger in general, is really involved with community health initiatives, so we brought in the Director of the PA Department of Health to talk to the middle school kids about the dangers of smoking, and I built a morning show (“Leckey Live“) around it. I could talk for an hour straight about everything that went wrong while I was trying to coordinate this, but I won’t, because when I walked into South Scranton this morning and saw how they had decked out the whole auditorium with signs and posters and banners etc., I was so psyched about how it looked that I high-fived the maintenance guys who’d shown up at 4am to let us into the school to start taping. South Scranton has a special place in my heart as the school we used to do our high school plays at before Scranton Prep built our fancy stage & auditorium, and it was so cool to be back there as an adult, coordinating one of my favorite morning shows ever, and feel the energy in the place from everyone (90+ kids, cheerleaders, parents, school staff, Geisinger representatives) who was so excited to be there. Ryan and his cameraman Corey just knock it out of the park, every time, but today was something extra special. At least once a day I think “I love my job”. Today I had a bunch of those moments. Enjoy the clips from the show here and here. 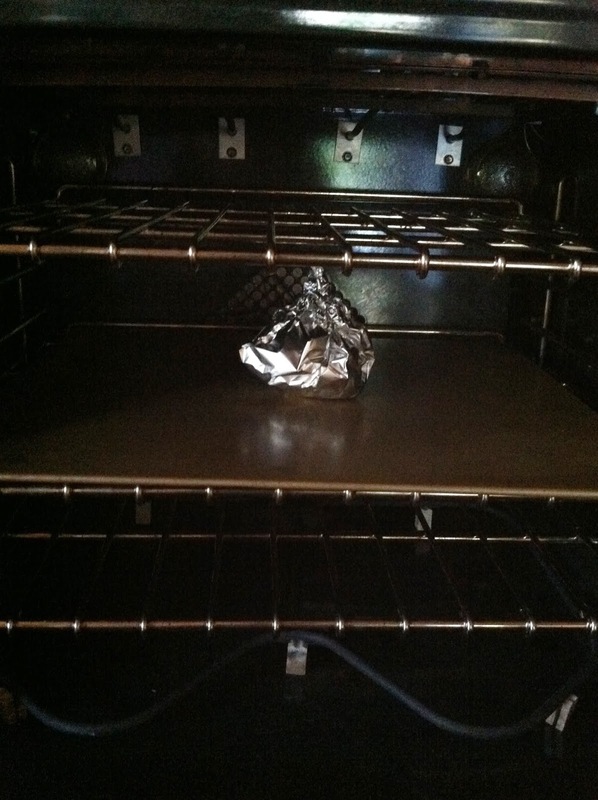 This entry was posted in geisinger, gluten-free, great american smokeout, hummus, leckey live, love, millionaire matchmaker, paleo, roasted garlic, sage, vegan, white beans on November 22, 2013 by westyn.